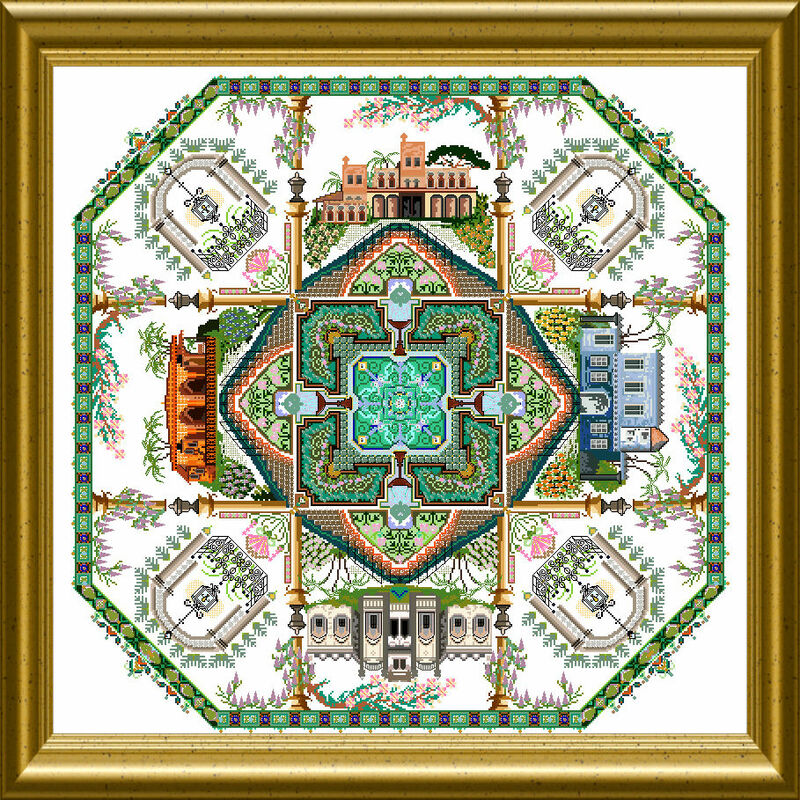 The Caribbean – Cuba – the old Mansions, the tropical nature – all is captured in this design with the lush colors in silk and variegated threads ! 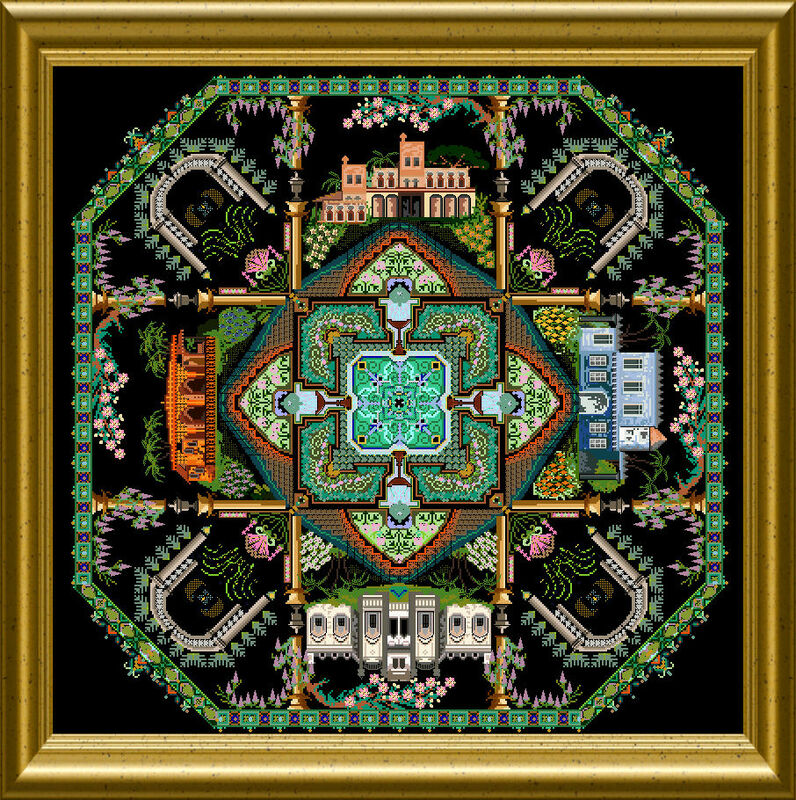 You will stitch the wonderful architecture, adorn it with Special Stitches and use lots of beads and crystals to add interest. This design comes in 12 parts as it was published as Online Class back then. 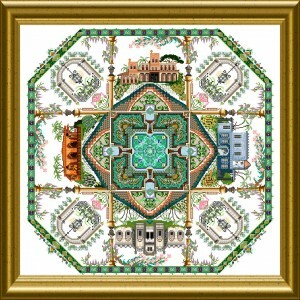 The mere design size is 372 x 372 stitches.